Solar power is reliable, quiet, and clean, making it an ideal and often the only choice for remote field locations. In 2003, WCN supporter Stephen Gold initiated a volunteer project to provide solar energy to conservation projects around the world. This innovative endeavor meets the great need for electricity, water harvesting, purification and sustainability in remote field stations, and combines cutting-edge technology with wildlife conservation and sustainable environmental practices. With generous donations from corporations and individuals, Stephen designs and assembles new solar electricity systems and other systems, and ships the equipment to the field. Systems have been sent to Wildlife Conservation Network Partners, past guest speakers at the Wildlife Conservation Expo, and other extraordinary conservationists around the world. Through the Solar Project, many conservationists have been able to switch from unreliable or unclean power supplies like diesel or car batteries to solar, which requires very little maintenance, is clean, and makes no noise. These systems power everything, from conservation camps to research activities like Save the Elephants’ tracking system, which follows elephants in real-time GPS. This is fundamental to all conservationists to allow them to live, function, and save wildlife. 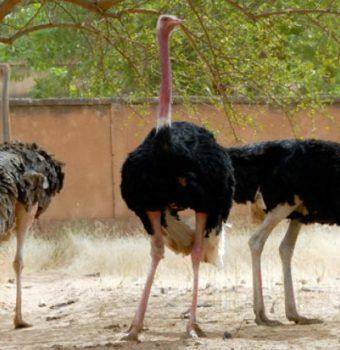 Project Niger is the Solar Project's biggest initiative yet—aiming to support the Sahara Conservation Fund's recovery efforts of North African Ostrich populations throughout the Sahelo-Saharan range. Conservationist Rebecca Klein of Cheetah Conservation Botswana was in need of energy to conduct her research in Botswana back in 2003. 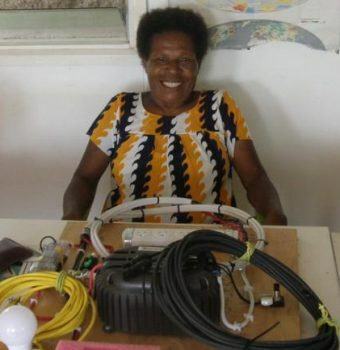 Rebecca works in remote areas of Botswana where power is not easy to get, and she desperately needed a reliable source of energy for her project. She spoke of this need at the 2003 Wildlife Conservation Expo, where San Francisco-based solar energy proponent Stephen Gold heard her. 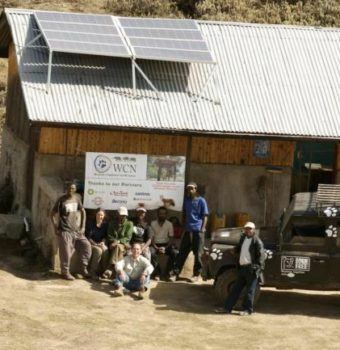 Gold contacted WCN and volunteered to help, and the WCN Solar Project was born. Gold found that many conservationists were using either diesel generators or antiquated solar systems that were inadequate for their needs. Since that time, the WCN Solar Project has brought solar systems to Rebecca Klein and almost 50 other conservation projects around the world. BECOME A SUPPORTER OF THE SOLAR PROJECT AND HELP BRING CLEAN, RENEWABLE ENERGY TO CONSERVATIONISTS AROUND THE WORLD.